How to find a quotation? I often want to answer some question but I have a problem with quotations (and I don't want to just say: "I remember that somewhere was something like..."). Sometimes I have exact quote in my mind (but don't know exactly where it was, problem especially with books) sometimes it is only a shaking idea of something similar or connected with the question (and then I am really screwed). Do you have some tricks? Some recipes? With movies, are you using the screenplays? If so, where are you finding them? Or are you just watching the movie/series/read the book/comic etc. and trying to find the place you somehow remember? What I do largely depends on the media in question. The Lord of the Rings trilogy, The Hobbit, etc. Typically I've acquired them in ePub or Mobi format, in which case I use online tools to convert them to PDFs (which have better cross-platform tools). I also have ready access to a pretty good public library, so I'll often pop over there on my lunch break to check some of the books I don't have, or I'll simply pull a physical book off my shelf (especially when I'm citing Lord of the Rings: A Reader's Companion or The Annotated Hobbit) when I'm at home; doing this usually requires me to have a pretty good idea of where in the book I'm looking, though. If all else fails, and especially for obscure books, I occasionally make use of Google Books' free preview feature; I prefer not to do this, because of how I prefer to cite sources, but I've done it on occasion. If you're referencing older books, you may have a chance of finding them on Project Gutenberg, or one of its international affiliates; these sites mostly have books that have passed into the public domain, which largely limits them to works published in the 1920s and earlier. Unfortunately, no recourse here but manual transcription; fortunately I get all my comics digitally, so it's not that much of an imposition. Many films have screenplays online; IMSDB is a good resource for this, though they don't always have the final versions (something which has bitten me before). Many film transcripts can also be found at Springfield Scripts, though with the caveats I'll cover in the next section. Occasionally I also simply pull the film up on my computer, rely on my memory to guide me to the right moment, and transcribe by hand. For Star Trek, chakoteya.net has full transcripts (including some minimal stage direction) for all episodes and the films. So I typically have to supplement them with either memory or manual transcription from re-watching the episode. This is largely Google-fu; I don't make a habit of reading interviews, but there's enough pop culture reporting that interviews are fairly easy to find on Google. For Harry Potter specifically, Accio Quote is a good resource for JK Rowling interviews, but hasn't been updated since 2012. So I typically have a fuzzy memory of his recent tweets, which is helpful for answering recent questions; Twitter's built-in search mechanism makes it relatively easy to find the exact tweet. For others, I typically fall back on Google. I know that I could follow JK Rowling, but the ratio of "useful canon" to "political opinions" is low enough that I don't care to bother. 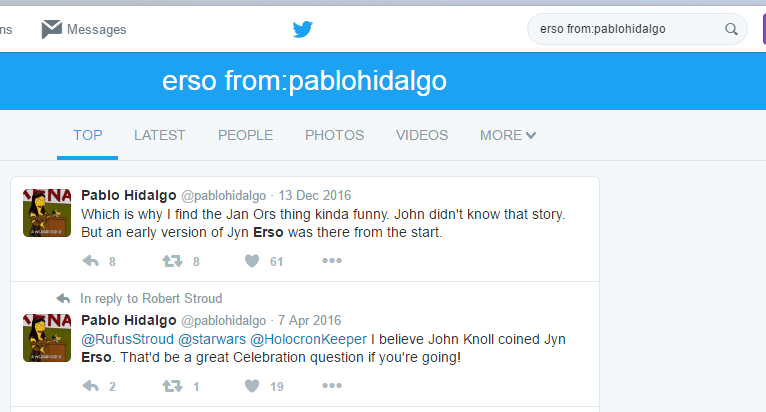 1 I also follow Leland Chee and Matt Martin, Hidalgo's compatriots in the Lucasfilm Story group; but Hidalgo spends much more of his Twitter-time responding to lore questions, so I generally find him more useful. For Star Trek, you can't really do much better than the Script Search facility on Chakoteya.net. You can search by word, phrase and even who said the words. I use Calibre to manage my ebook libraries. 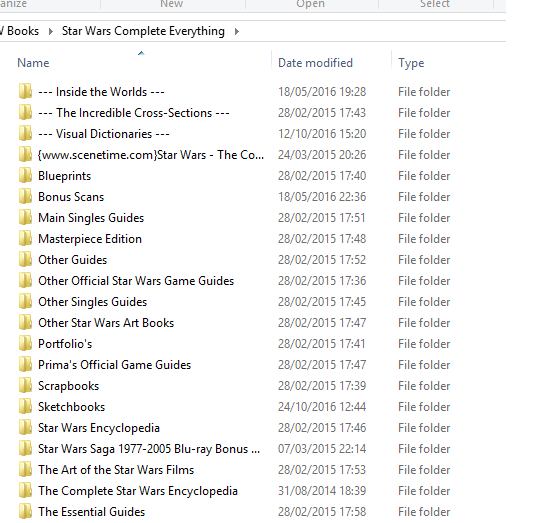 I have my Star Wars books arranged into separate libraries for Canon and Legends (to make it easier to search through) and my Harry Potter/LOTR stuff in single libraries, all converted into epub format. When combined with the Epub Quality Check tool, searching for specific terms is a doddle. Typing out quotes by hand is a mug's game. Better to take a picture of it (or a screenshot) and convert it using ABBYY Finereader. It'll convert any text into a Word Document within seconds and makes turning PDF-image scripts and Google Books finds into something readable a doddle. http://www.imsdb.com/ is a good resource, as is ScriptDrive although you'll need to register to get the actual scripts. Note that if they're in production they often get removed but you can still see the filenames. If you google those with quotes around, you can often find other copies online. Gnorb is a good reference for the Matrix Comics. (for written works) either a Google Books version of the work in question, or a full-text copy on some potentially dodgy website; in either case, you can transcribe or copy-paste what you need. (for screen works) an online copy of the transcript - whether official, leaked, or fan-made - from which again you can copy-paste the quotes you need. Sometimes this works even if the only exact quote you remember is from a different part of the book/film from what you're really looking for. 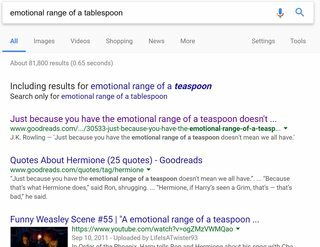 If you remember any exact quote, you can Google it to find some resource which has the full text, and then scroll through to a different spot. Beware: if the quote is too well-known, you may get swamped with too many irrelevant results. E.g. if you type "one does not simply walk into Mordor" into Google, you'll find a boatload of memes before managing to find a transcript of the Fellowship of the Ring film. ... familiarise yourself with some generally useful resources. This is arguably better than all the other sources in many instances, because it can lead you to those other sources. When Google fails, or when I can remember the work or series in which a quote is found, I turn to my modest collection of e-books. I have many of the Star Wars, Star Trek, Warhammer, and Harry Potter books, among others, in a handy epub format. I use Calibre to store and read them. I generally search manually, but there are some useful utilities that can be used to search books en masse. Frankly, I just do a batch convert to .txt and use regular expressions to find whatever phrase I need when that happens. Some books are scanned, which can make finding information painful. In such cases, it pays to have a working knowledge of where things are. That is, actually read the books! 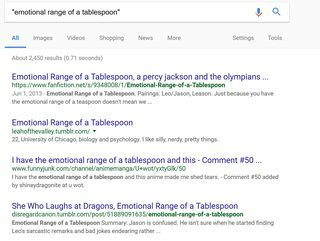 Text search is no substitute for actually knowing where things are, though it works in a pinch. Most books of interest can be purchased on Amazon or in Google books, or procured elsewhere. I mainly use Chakoteya for Star Wars and Doctor Who transcripts. Springfield! Springfield! has an impressive number of transcripts for many films, including those that have not even been released on DVD, but suffers from not noting who is saying what. In addition, they’ve suffered a server problem, and lost a lot of their scripts. Transcripts Wikia is another useful source, albeit incomplete. Forever Dreaming helps fill some of the gaps in the other sources, with an impressive number of shows. Many transcripts share the flaw of not noting who says what, so sometimes there’s nothing for it but to go through the episode/film to find who made a particular statement. Twitter is a useful source of information, and you can search for quotes by a specific person, as mentioned elsewhere. Just make sure you have a verified account, or can confirm the owner’s identity—some people have fan accounts or outright impersonators. If you are really unable to find out whether someone ever said something, these sources can also be useful for simply asking them. As far as searching for quotes goes, Goodreads has an impressive number of quotes from both well-known or obscure written works. It’s likely to come up in a Google search, but an in-site search of the site (“quote” site:goodreads.com) is likely to be more helpful: more signal, less noise. *And other lesser search engines. Not the answer you're looking for? Browse other questions tagged discussion support quotes . How to acquire or create a film scene GIF? Should “trivially easy to find” be a benchmark for moderating the site? What to watch in our next movie night? What is with all the “Earliest” questions? Which canonicity is more right in a Legends question? When should we go to the [movie]? Should we include 'the' in tag names when the official title starts with 'the'?